You plan a trip to Paris, a beautiful, romantic and exciting city. A Paris city guide edited by locals since 1997, we help you make the best of your trip: shopping, accommodation, restaurants, food, sights, coach tours, nightlife and all about the city. This guide helps you make the best of your trip: things to do, restaurants, hotels, maps. Sightseeing is the top reason why Paris is year after year the number one tourist city. Shopping is a top reason so many people love the city, a shopper paradise. Visit France on a day trip from Paris: wine tours, Normandy, Loire Castles, Riviera. This guide publishes Paris news and answers your questions through Facebook. 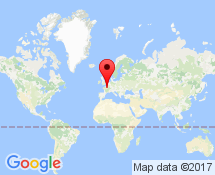 Since 508 A.D, the city is the capital of France, the largest country of Western Europe. 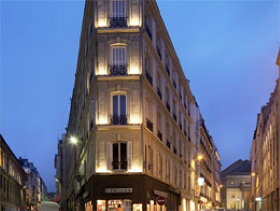 One of our favorite hotels in town, Hotel Delavigne is very close to Luxembourg Gardens on the left bank. Each room mixes contemporary decor with antique furniture and has a flat-screen TV. The rooms on the upper floors offer views over the rooftops of the city. This city guide has a selection of the best hotels in Paris. The Louvre, Musee d'Orsay and Centre Pompidou are famous museums of art. 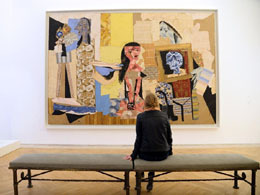 A relatively new comer in the City of Lights, the Picasso Museum opened in 1985 with 203 paintings and 156 pieces of sculpture from the Picasso heritage, paid to the state as death duties. You will see great paintings in the Museum including Paul en Arlequin and the portrait of Dora Maar. You will be moved by the colorful masterpieces in display. This city guide has a selection of the best Paris museums. William Ledeuil is a very talented French cook. His fusion food, inspired by Asia, is so tasty you will remember it for ever. Different yet complementary, united by the same audacious vision, his two restaurants are in the same lovely left bank street and are some of the bests in town. 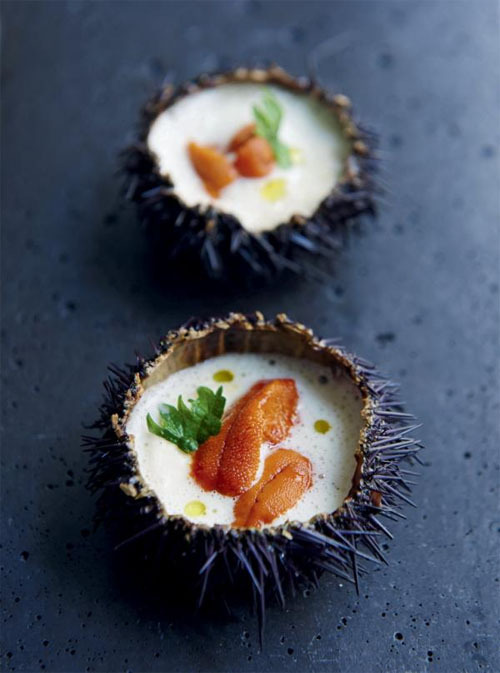 His cuisine is derived from the dialog between his passion for Asia and his respect for French cuisine tradition. The ingredients and the flavors are decisive. He combines them in total freedom, depending on his inspiration. For William Ledeuil, food is a game of extreme rigor which means he can’t take himself seriously. Set menu start from 29 (KGB) to 40 euros (Ze Kitchen Gallery. One Michelin star) at lunchtime. We are regulars. This city guide has a selection of best restaurants in Paris. Created and financed by Louis Vuitton, the famous handbag designer, the Fondation Louis Vuitton encourages and promotes artistic creation internationally. 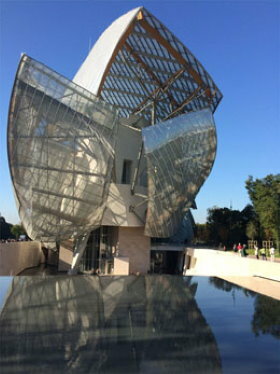 In 2006, the Fondation Louis Vuitton commissioned a spectacular monument located in Jardin Acclimatation, a lovely amusement park in Bois de Boulogne. "I dream of designing a magnificent vessel for the city that symbolizes France's profound cultural vocation"
This city guide has a selection of the top Paris monuments. 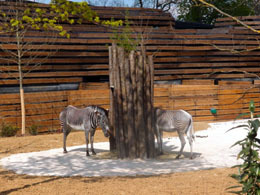 Paris Zoo, officially Parc Zoologique de Paris, is located in Bois de Vincennes on the Eastern side of the city. It is divided into five geographical zones where over 1000 animals live in their original environment: Sahel, Patagonia, Europe, Amazonia and Madagascar. The most visible attraction is the 65 meters grand rocher, a rocky hill closed to visitors. The city can be fun with kids. This city guide has a selection of attractions for kids including Disneyland, Parc Asterix, Musee Grevin and aquaboulevard. Opera Garnier is both an incredible 19th century monument and a magical venue for live performances. 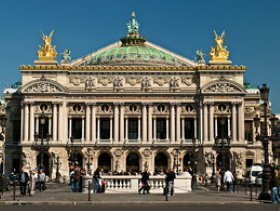 You will not forget a ballet performance there by the Ballet de l'Opera de Paris. The beauty of music and dancing resonates with the magnificent theater room and its Chagall ceiling. After the performance, you may have dinner in one of the restaurants open very late into the night in this very animated district. This city guide has a complete selection of nightlife ideas and best concert venues. Planning your trip to the city, save a day for visiting the lovely French countryside. Your city guide has many suggestions of tours. One idea is to discover the world famous Champagne wines, produced from grapes grown in Champagne, an old French region 145 kilometers east of the city. A coach tour to Champagne and back takes a day. Begin with a guided visit of the cellars of the famous Mumm Champagne house. 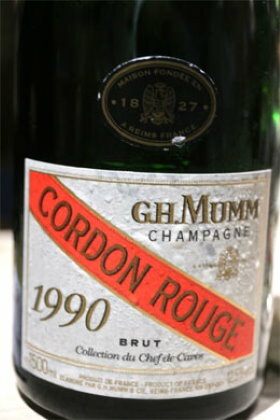 Taste the well-known Mumm Cordon Rouge, one of the most popular sparkling wines in the world. In the afternoon, discover the rolling countryside, the villages, forests and vineyards. Visit Mercier, a house founded in 1858. Travel by automated train to a depth of 100 feet to visit the huge cellars, finish the tour with wine tasting. The City of Lights with the surrounding Grand Paris metropolitan area, is a major business city with diversified industries. 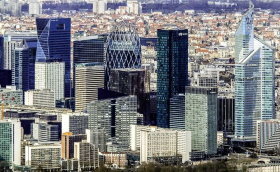 La Defense Business district, Rungis wholesale market, Charles de Gaulle Airport, Villepinte Exhibition and Convention center are among the hubs of this intense business activity. The Paris Motor Show and the Paris Air Show are world class business shows. The international image of the City of Lights in 2019 is mixed. On one hand, it is the world most visited city loved for fashion, elegance, good food and beautiful sights that can be discovered on foot. It is too the city of love and appeals to lovers of all countries. On the other hand, it has been severely hit by terrorism, as have unfortunately been too other European cities. Strikes are more commun than in many comparable places although transport strikes are less and less commun. Parisians are not seen as the most friendly and welcoming people. This all is partly true and only partly reflects the reality. The city is the core of a metropolitan area counting 12 millions people and an incredible number of companies. La Defense is the largest business center in Europe. Rungis is the largest fresh product wholesale market in the world. Charles de Gaulle Airport is number 8th in the world. The city has also emerged as a welcoming place for many internet start-ups including icons such as Blablacar and Criteo. Station F is the largest startup incubator in the world. Parisians work very hard, spend a lot of time in transport. Most of them live outside the core tourist districts of the city. The way they live, dress, eat is still typically French and we think it will stay that way. The city is now also a multiethnic city. First second and third generations immigrants specially from Africa, Asia and Eastern Europe are everywhere visible. This very fast immigration that is not easy to integrate rapidly is accounting for the incredible diversity of the metropolitan area. Go to Sarcelles city and its chaldean community, to Lognes city near Disneyland and its 40% inhabitants from Asian origin. You will witness that our city has become a world city where communities from all over the world live together peacefully. Paris is all that. Discover through this city guide the energy that is irrigating a fast changing and fascinating metropolitan area. Take the time to go beyond the cliche and discover 21st century Paris, a city that is a world in itself.